Since I reviewed the Anne Pro 2 60% Mechanical Keyboard which I think is one of the best 60% keyboard out there, I've set my eyes on looking for the best alternative especially the ones that are almost half its price. 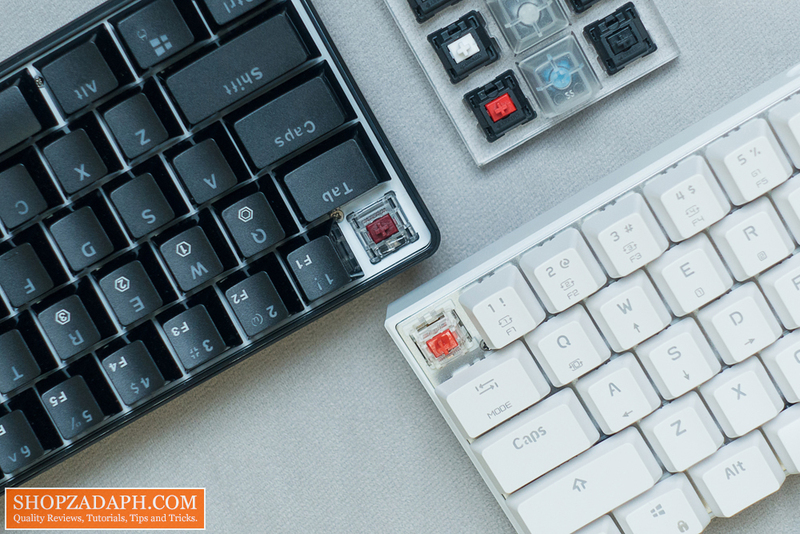 The Geek GK61 is a good candidate with its hot-swappable optical switches but unfortunately, it doesn't have Bluetooth functionality. 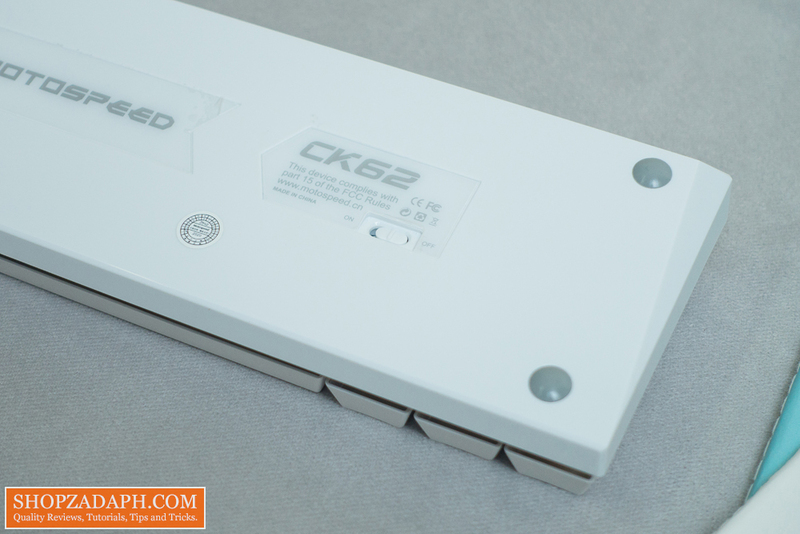 Today, we are taking a look at another 60% keyboard that seems to have a lot of potential, the Motospeed CK62. 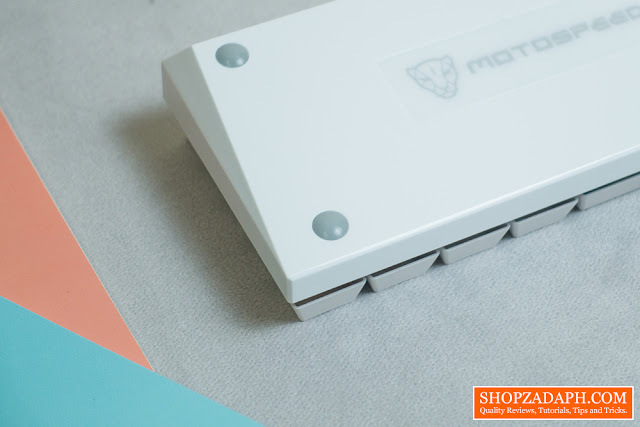 It uses Outemu switch and works in both wired and wireless mode. 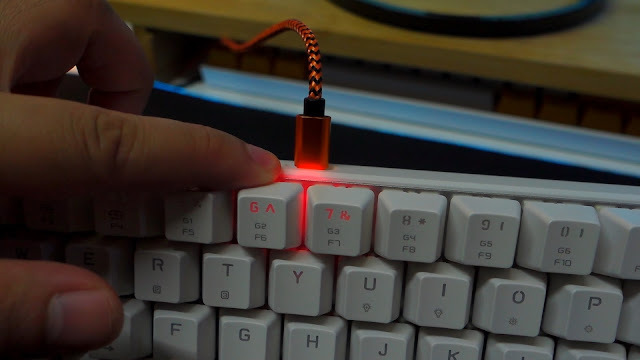 Keyboard, User Manual, Keycap Puller, and USB Type C cable. 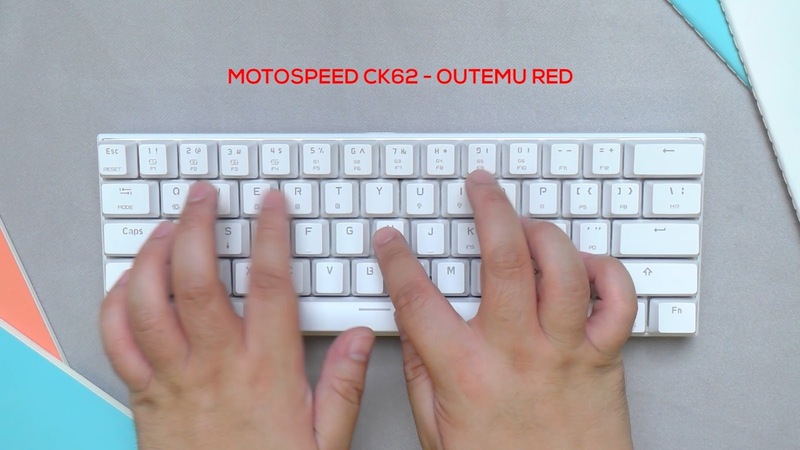 At first look, the Motospeed CK62 it is pretty slim and is quite lightweight as well, but it doesn't have much flex on it unless you put an unusual amount of force. 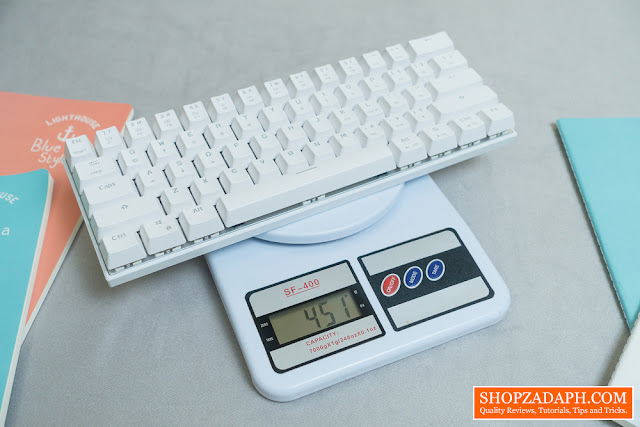 It weighs around 451g which is way lighter than most 60% keyboards that I've tried. Since this is a 60% keyboard we only have the alphas, numbers, modifiers and all the basic keys. We don't have dedicated arrow keys, function keys, nav cluster, and Numpad, which in a 60% keyboard are all available using layers. 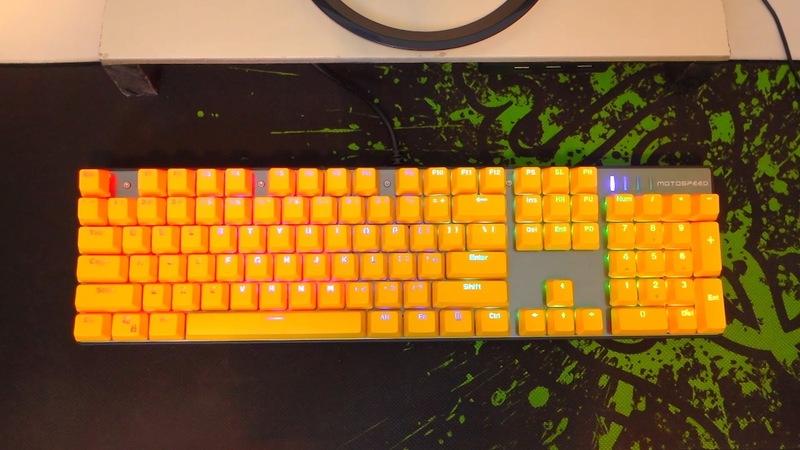 This keyboard uses the ANSI standard layout so looking for custom keycaps will not be a problem. 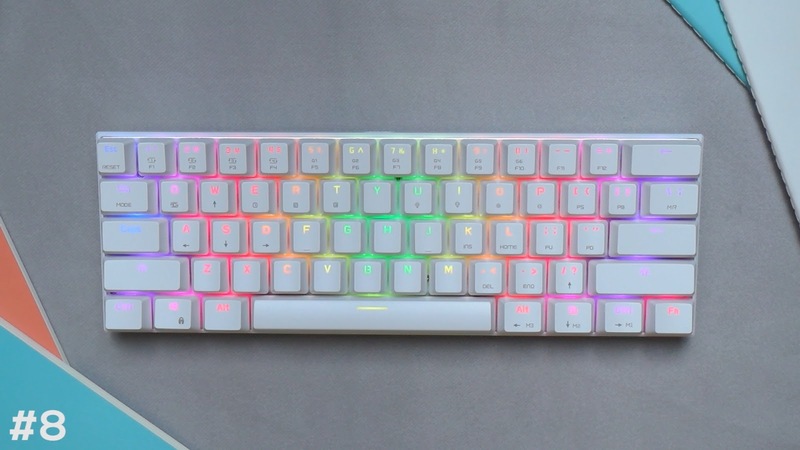 Looking at its front side we can see that it has a floating keys design rather than the high profile case that we usually see on most 60% keyboards. Flipping it on its side, we can see that the bottom housing is actually pretty slim as well and has a chamfered design at the bottom, the housing features a low profile design so the key switches are actually visible. It also uses the ergonomic OEM profile for the keycaps. At the back, we have the USB Type C port that is weirdly placed at the center, so looking for a custom case for this will be quite challenging. At the bottom, we have four small rubber feet without an adjustable stand and a Motospeed logo at the center. We also have here the usual technical information and of course, the on and off switch for the Bluetooth connectivity. Going back in front, with regards to the fonts used, it uses the similar typeface that we typically see on most budget keyboards with just different legends for the layers, lighting modes, and whatnot. 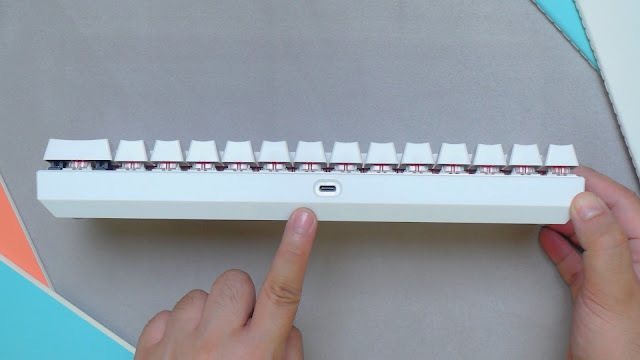 This keyboard actually has 4 different layers that can be activated using the keys 1 to 4 with a rather unusual and to be honest, unfortunate layer implementation. We'll talk more in-depth about that later. So the first layer is the function keys up top, and then the 2nd layer is the nav cluster near the enter key, the 3rd layer is the arrow keys at lower right corner, and the 4th and last layer is the arrow keys at the WASD keys. Overall the design of the Motospeed CK62 is pretty good, It even has this silver aluminum backplate that for sure will help bounce that LED illumination. I also like its slim profile and this white version really looks clean. Now, let's discuss the different features and functions of this keyboard, like I said, this keyboard works in both wired and wireless mode, and to change between them you just have to press FN + Tab for a few seconds until the caps lock starts flashing and turns into color green. This means you are currently working in wired mode. Press FN + Tab again to change to wireless mode, indicated by color blue on the caps lock. 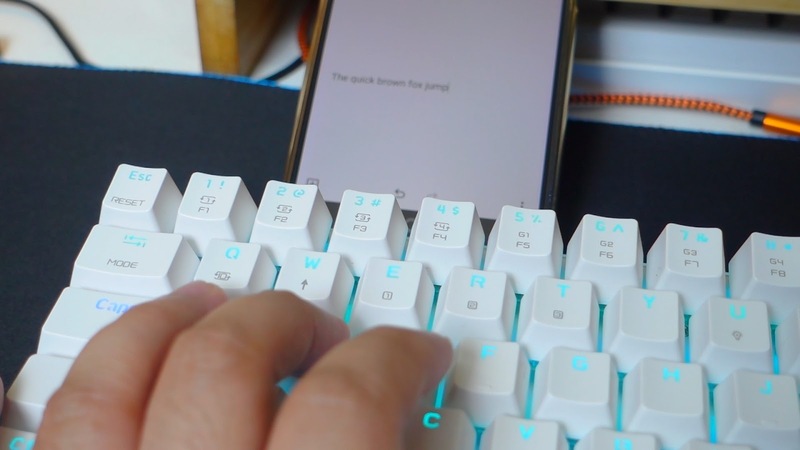 To connect your device via Bluetooth mode, you just have to press FN + any keys between E, R, and T, and then press FN + Q for a few seconds to start pairing mode. The caps lock will start flashing which will indicate that the keyboard is now ready to pair. Once you're able to pair the keyboard to multiple devices, you can simply swap between them by pressing FN + the corresponding keys between E, R, and T.
As per my testing, switching between devices is pretty quick. In terms of range, even if this keyboard only uses Bluetooth 3.0 which technically has a shorter range than 4.0, It is pretty substantial, I was able to use this keyboard as far as I can until I can't read the texts on my monitor anymore. It has a transmission range of up to 10m. With regards to latency, as per my testing, there's no difference between wired and wireless mode, both have almost the same latency as you can see here. But sometimes I feel like there's a little bit of intermittent delay, possibly due to the fact that it is only using Bluetooth 3.0 which is not as reliable compared to 4.0 signal strength wise. It is not catastrophic to the point that it is not usable but I encounter it from time to time. Now, let's discuss the different lighting modes of the Motospeed CK62. 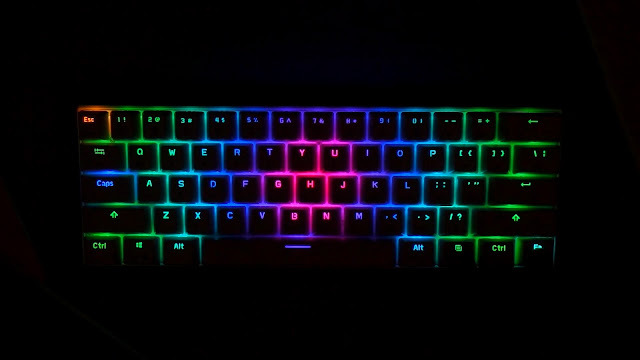 To change lighting modes, you just need to press FN + Menu key and then press FN + Ctrl key to change colors. 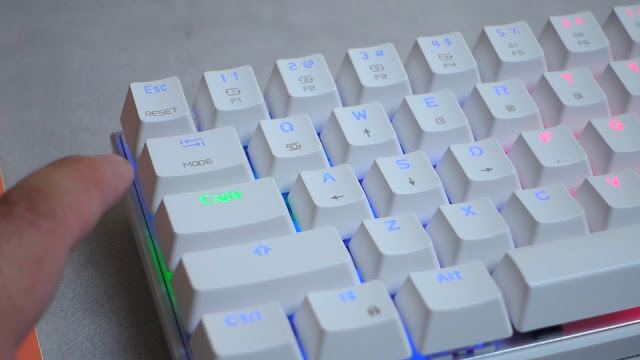 The Motospeed Ck62 actually has a whopping 19 different lighting modes, You can change the direction of the lighting modes by pressing FN+right alt, you can also change the color by pressing FN+right ctrl in 8 different solid colors. You can also adjust the brightness by pressing FN + I and FN + U, the caps lock will flash indicating that you're on the maximum or minimum setting. You can also adjust the speed by pressing FN + P and FN + O. And lastly, you can also set up your custom lighting modes by pressing FN + any of the keys between 5 to 0. Press one and then press the forward slash to start recording, this will be indicated by the caps lock flashing, after which you can start pressing the keys that you want and create your own custom lighting. Once you're done, simply press FN + forward slash to finish recording. 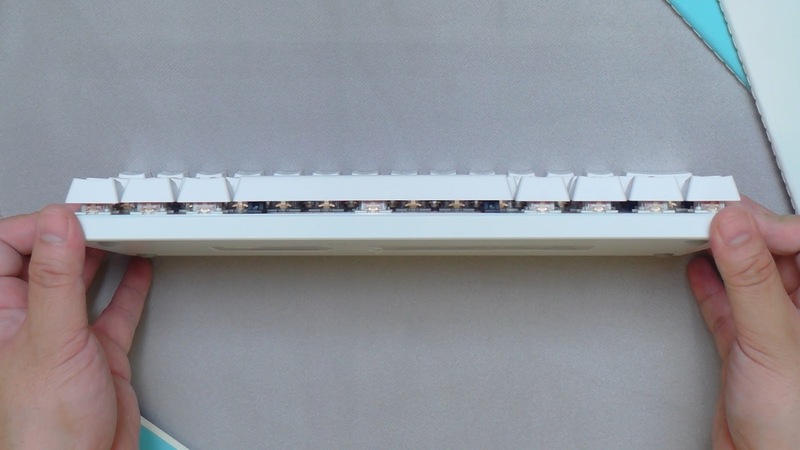 You can easily access your custom lighting by pressing the key combination anytime you want. 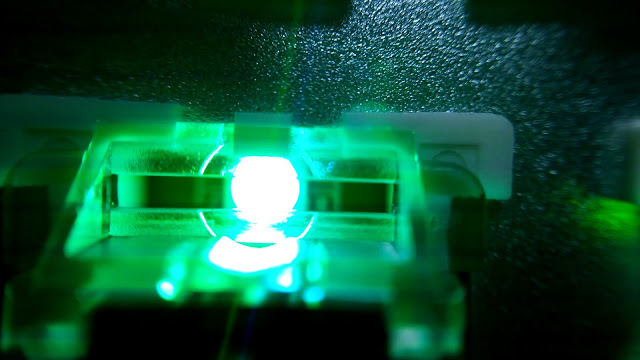 Now here's how bright the LEDs are when all the lighting is turned off. As you can see it is pretty bright, removing the keycaps we can see that the LEDs are surface mounted into the board, but the switches have holes in it for the illumination to pass through properly. 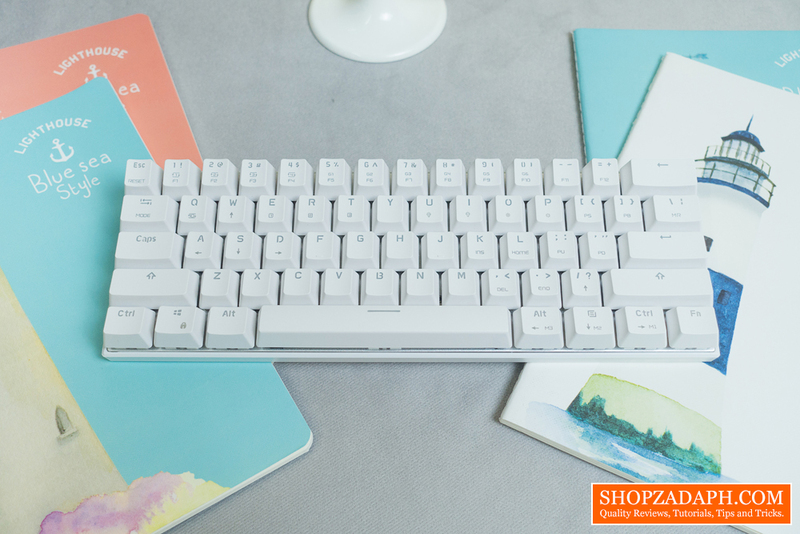 The LEDs used for this board features a true RGB color reproduction that can produce up to 16.8 million colors, and that results in a smooth transition between colors and animations. 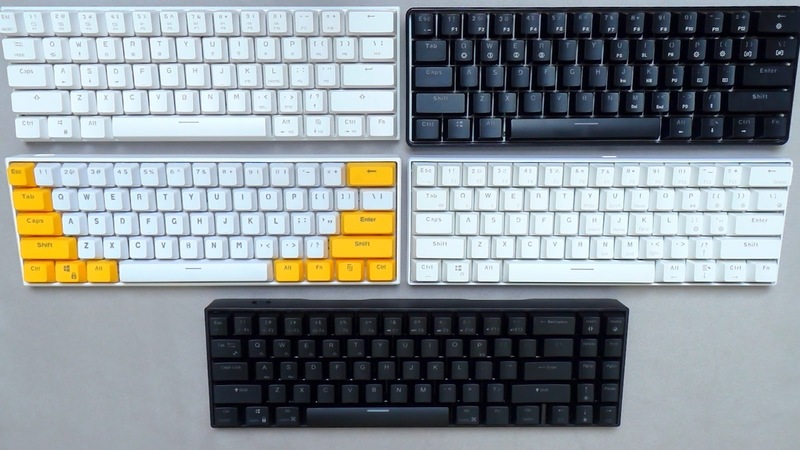 There are a few cheap keyboards that I've tried that actually only has 7 individual colors and can't combine colors properly. So this is a good sign. One thing that I don't like about the LED illumination on this keyboard is that the caps lock has a world of its own. Its color will depend on what mode you are currently working with. For example, if you're on wired mode, the caps lock's color is green and then color blue when you're on Bluetooth mode. There's also no option to turn off its lighting even if you turn the brightness of the keyboard to 0. Although the color changes differently if you toggle it, there's no way to customize the capslock since there is no software. Moving on, let's discuss the switches on this keyboard. 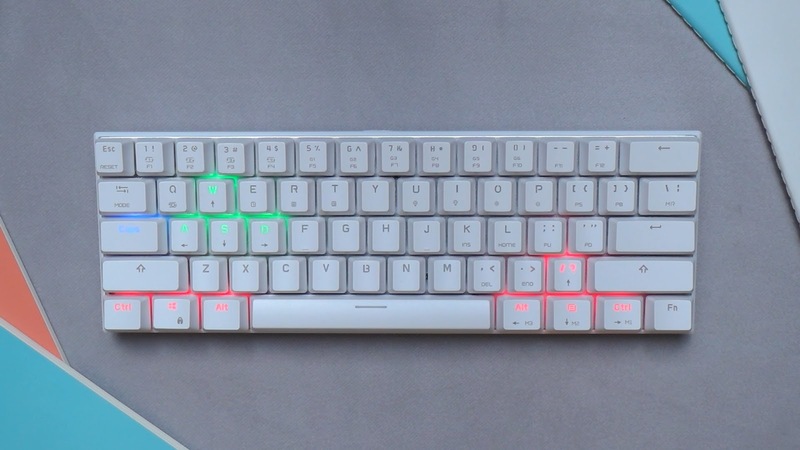 This keyboard uses red switches, and looking closer we can see that it is from the brand Outemu. 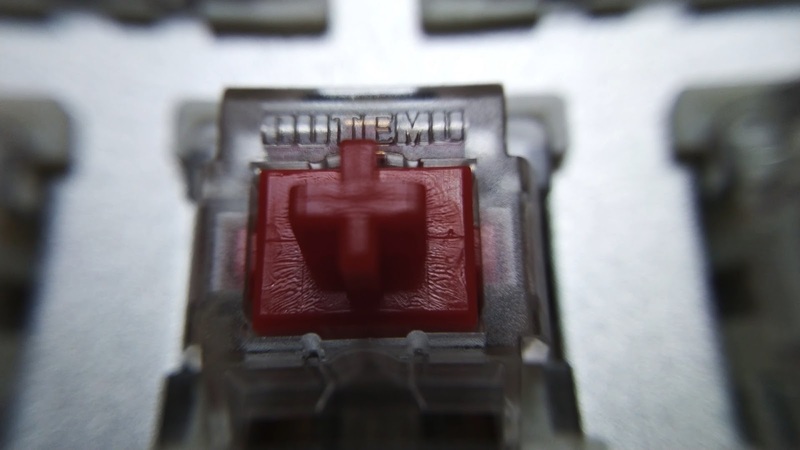 The Outemu Red switch is surprisingly decent and quite satisfying and not as scratchy as its Blue version which is known to be scratchy and has a very high-pitch sound when being clicked. The Outemu red also has a very good resistance that requires 50g of actuation force which I really like, compared to the optical Gateron red that only needs 45g and like I said on my review of the Geek GK61, was too light for my liking. Now, comparing the Outemu red to optical Gateron red and Cherry MX red, the Outemu red requires 50g of actuation force while the optical Gateron red and cherry MX red both require only 45g. In terms of smoothness, both the Outemu red and Cherry MX red feels scratchier than the optical Gateron red. 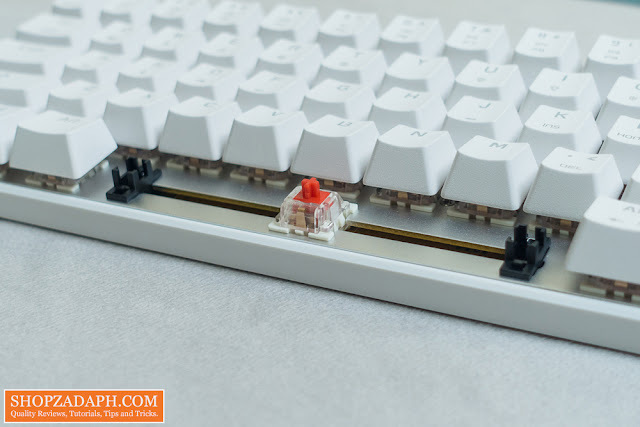 Having tested these, I feel like the best switch for my personal preference is the Gateron black since it requires 50g of actuation force like this Outemu red but with a much smoother travel. With that, I feel like I will make fewer mistakes with a substantial 50g of resistance. With regards to the keycaps, this one uses Doubleshot ABS keycaps, which means there is a separate translucent plastic injected inside it for the legends and for the illumination to pass through. It doesn't span across the keycaps though but it's really not an issue since the legend is only on top. 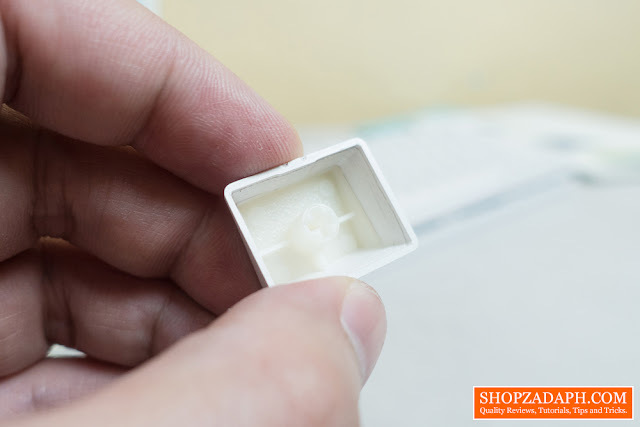 Some keyboard has the injection spans across to help with the overall thickness of the keycaps but it is not crucial for its intended purpose. 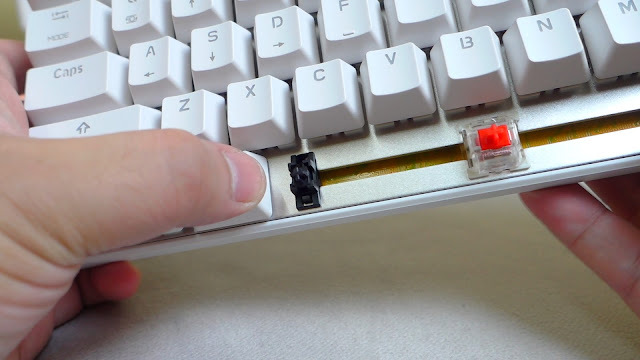 With regards to the stabilizers, it doesn't have any factory lube and sometimes it comes off along with the keycap. Other than that, it doesn't have much rattle to it and it's perfectly fine without an annoying high-pitch sound when being tapped, although you'll definitely feel some wobble. Now, here's some size comparison for you guys for some of my compact keyboards just so you can have an idea in case you're planning to pick up a 60% keyboard. Now, when it comes to the layer implementation, this is the worst part of this keyboard, the layer implementation is a total disaster. Good thing there's a workaround for it which I will show you later. 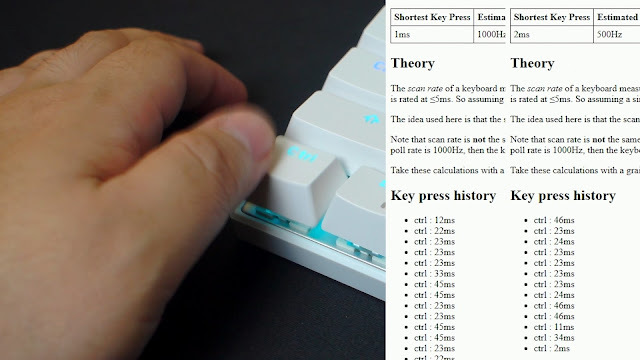 Most 60% keyboards that I've tried use the FN key to toggle different layers just by pressing a combination of 2 keys, but with this keyboard, you toggle layers by activating and deactivating them which requires pressing the FN button alongside the corresponding number of the layer for 3-5 seconds. Here's an example, if you want to use the function rows up top you will have to activate that layer by pressing FN+number 1 for 3-5 seconds until the led on the number 1 key is turned off, after which the numbers row will now change to functions row. The same goes with the nav cluster which you can activate by pressing FN+2 for 3-5 seconds. For the arrow keys, which I think is the most important layer, you need to press FN+3 and lastly, FN+4 to switch WASD to arrow keys. This means every time you need those valuable keys you have to press a combination of keys for 3-5 seconds which I think is not very efficient, not to mention you have to memorize the corresponding number for each layer. Also, it doesn't help the fact that this keyboard doesn't have any software to possibly fix this issue. 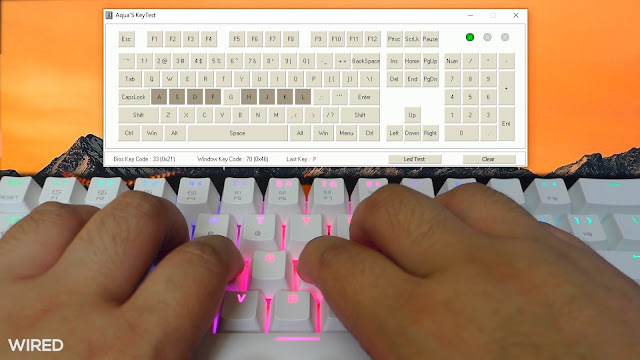 With that said, thankfully, there is a workaround for this using a software called AutoHotKey, basically, you will use the CAPSLOCK button to toggle the different layers just by pressing a simple combination much like other 60% keyboards normally does. 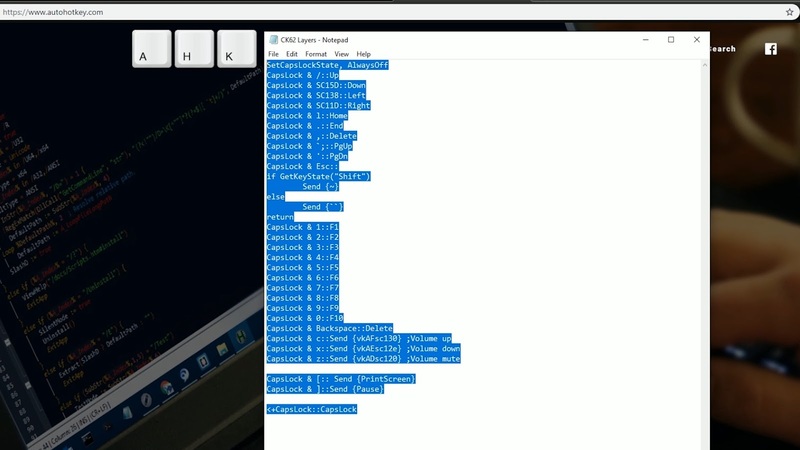 Here's how to do it, first you need to download the Autohotkey software, next download this script and run it. You also have to add it to your startup programs so you won't have to double click it every time your computer starts. Now, what's good about this is that you can actually customize this keyboard further using this script. 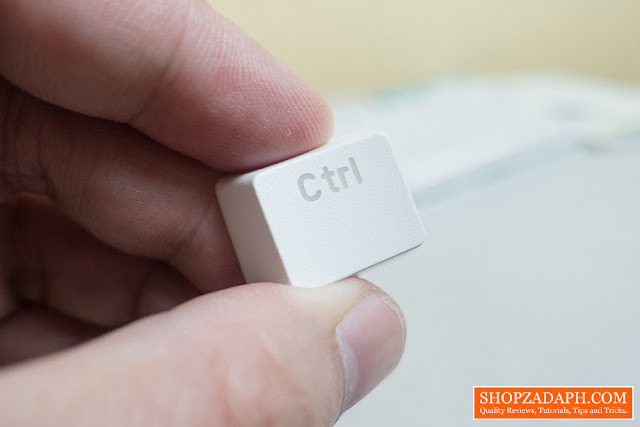 So you can add more functions basing from your own personal preference, you can check the AutoHotkey help for the codes or simply google them. 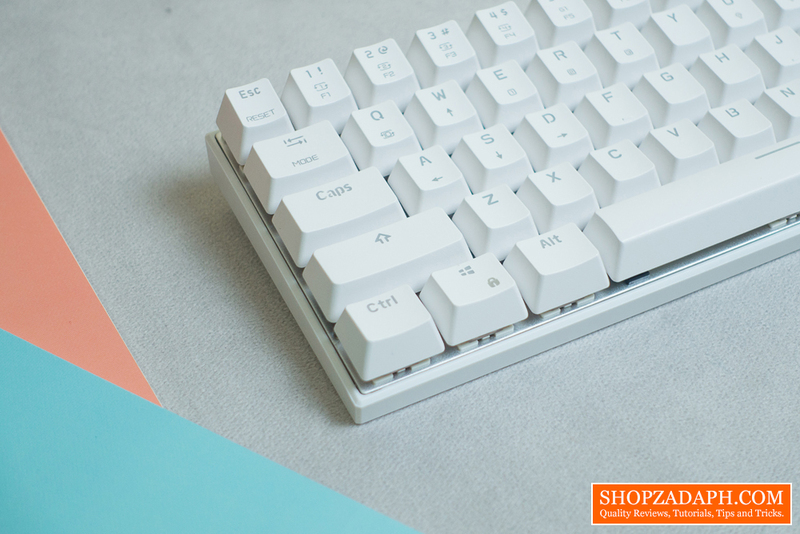 With this simple workaround, you will be able to use this keyboard normally as it should by default. So if you've already bought this and it's driving you crazy, then I hope this workaround will help you. I got this information by the way from some Reddit users that provided this workaround, huge thanks for them and you can check it here and here. 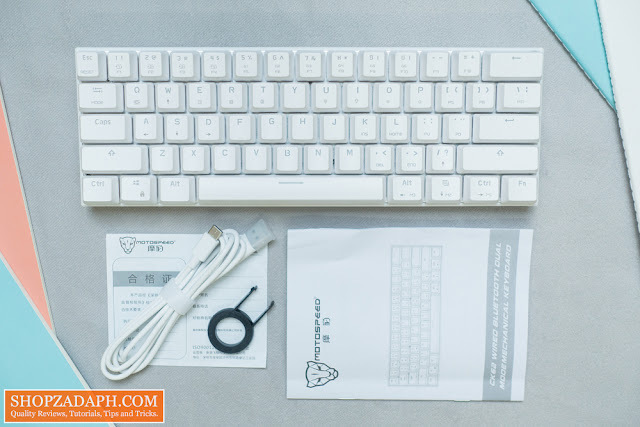 This keyboard has NKRO or Nkey rollover feature in both wired and wireless mode, which means you can press all keys without conflicts. As per my testing, it actually works not only in wired mode which is already expected but works also in wireless mode through Bluetooth. Usually, based on the other wireless keyboards that I've tried, NKRO only works via wired, so this is actually very nice especially for couch gaming. 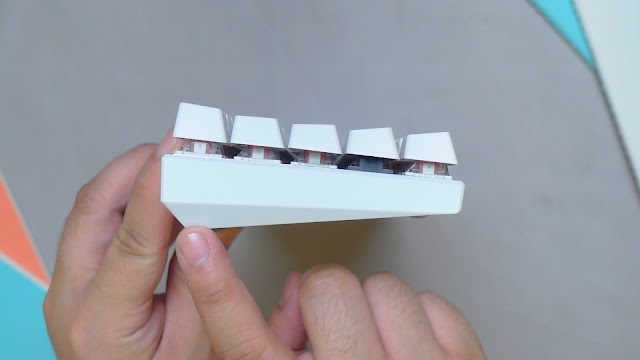 With regards to the typing experience, I am actually quite surprised with the Outemu Reds, I didn't have much good expectations with this especially having tried the high-pitched, scratchy Outemu blue which I personally didn't like. 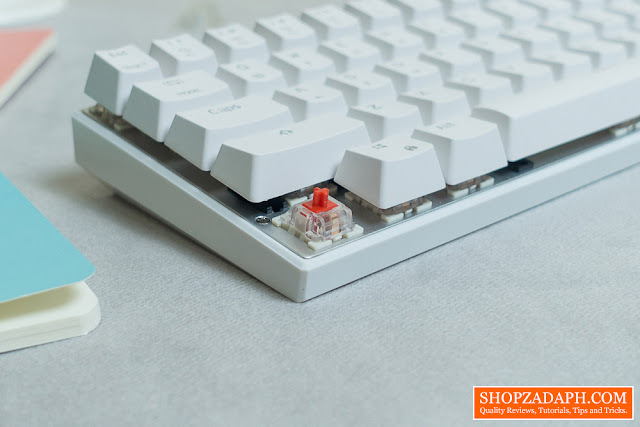 But with the Outemu red, since it is linear without any click nor tactile bump, the scratchiness is not very overwhelming. I also like the 50g actuation force, I feel like it is just the right amount for me to type precisely without over fatiguing my fingers. Now, when it comes to gaming experience, much like any other linear switch, it is very good. The 50g actuation force is nice to prevent unnecessary movements, and its linear feature allows you to bottom out the keys quite easily compared to a switch with tactile and click characteristics. 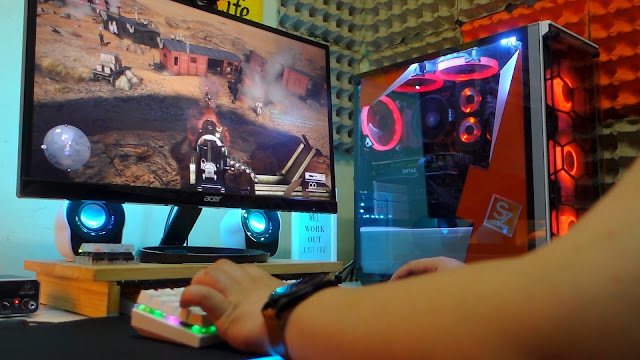 It also helps the fact that these red switches are relatively silent, so it should be ideal for streamers so that the keyboard won't get in the way with the other much important sounds. 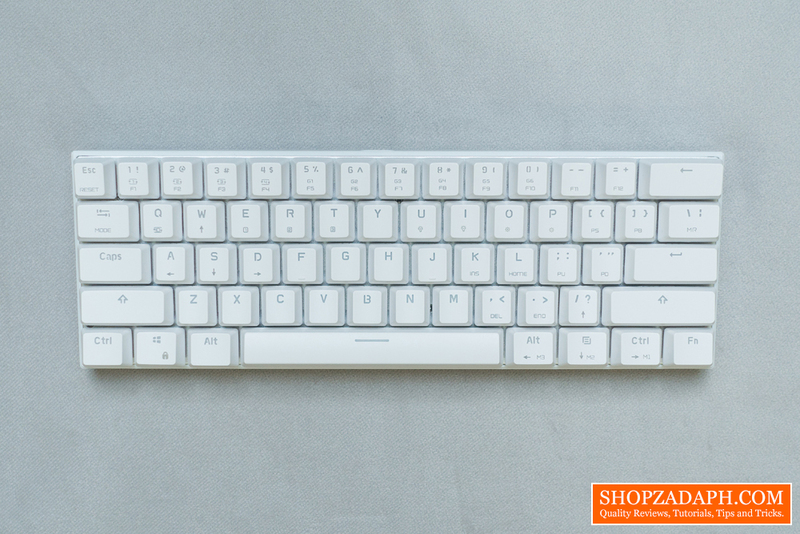 When it comes to battery life, this keyboard has a built-in 1300mAh of battery. Charging time as per specifications is 3-4 hours and it has this red LED indicator on the USB type C port. As per my testing, I left it charging for the whole day and the LED indicator actually didn't turn off, so I can't really gauge the actual charging time. 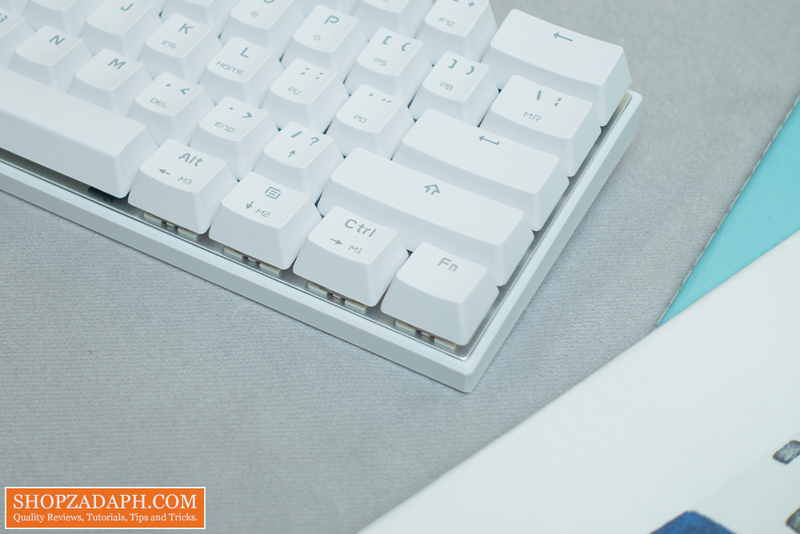 Working time is rated up to 10 hours and that, of course, will vary if you use it with LED illumination or not. I was able to use it for more than 24 hours but that is with power saving mode kicking in from time to time when I am away from the keyboard. Like I said It also has a power saving mode that lets the keyboard sleep if not being used for a certain period of time, and It immediately wakes up after pressing any key. At this point I think I've already tackled everything that you need to know about this keyboard, so to conclude, the Motospeed CK62 is a budget 60% keyboard that has a lot of potential for being decent, to say the least, it has a decent build quality with floating keys design if you're into that, it also has a very bright true RGB lighting, surprisingly decent Outemu red switches and works in both wired and wireless mode. Aside from quirks with things like intermittent Bluetooth delay and capslock LED having its own world, the only real reason it's hard to recommend this keyboard is the layer implementation. But if you are willing to tinker a little bit with the workaround which works like a charm by the way, this is a very good option if you're looking for a budget compact keyboard that works in both wired and wireless mode, especially if you're planning to use this mainly for casual couch gaming wirelessly. 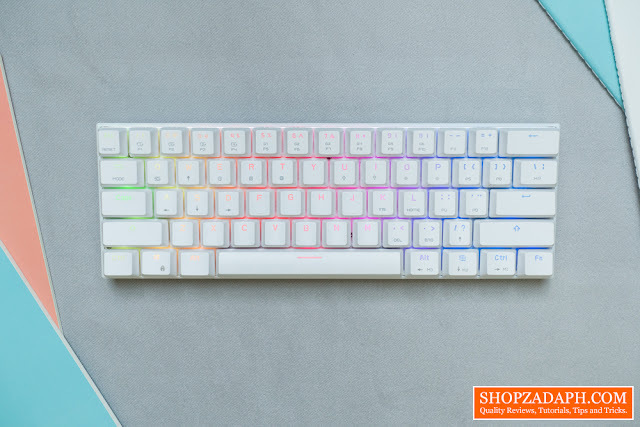 If you're only going to use this for casual gaming then I can recommend this, but if you're planning to use this as your main keyboard especially for productivity, I suggest you look for other options, and I'll definitely help you with that.